Puerto Rican legend and future hall of farmer Miguel Cotto is ready for his highly anticipated ring return. Early in the year he was set to face middleweight slugger James Kirkland in Dallas a fight put together by Roc Nation. Fast forward a couple of months the Kirkland fight fell trough as did his partnership with Roc Nation come to an end. Now August 26th at the StubHub Center Miguel Cotto returns under Golden Boy promotions with a multi-fight deal and the first being against action brawler Japanese Yoshihiro Kamegai for the WBO 154lbs title. 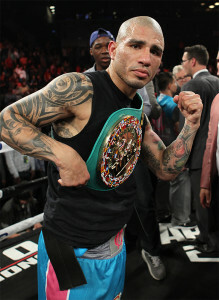 If successful Miguel Cotto would be making his 6th title reign in 4 division to add to his sure first ballot hall of fame career “It’s an honor for me to be back again and for the WBO championship is something extra” Cotto arguably the best Puerto Rican fighter we have seen to date. His career has been very important for boxing. Miguel Cotto has fought literally everyone that can be mentioned from the current cash cow in boxing, Saul Canelo Alvarez to Floyd Mayweather Jr and Manny Pacquiao who at the time where the biggest names in boxing and PPV stars. With a win this coming August 26th Miguel Cotto can get right back into the big fight stage as his new promoter Oscar De La Hoya states Canelo vs Cotto rematch is possible “It’s an option, why close doors on anybody. I think if you’re winning fights, you win world titles than you should be in the Canelo sweepstakes. We’re not saying no, we’re not saying yes. It’s just a matter of you performing in the ring and demonstrating it that you belong once again” clear indication that Miguel Cotto is an option for Canelo given he gets past Gennady Golovkin this coming September 16th. Obviously Miguel Cotto will keep a close eye on Saul Alvarez vs Gennady Golovkin and being that he has faced Saul Alvarez before he shares his take on the mega bout that the whole world awaits “I think they’re really skilled guys. Really strong boxers and they have to find their key to beat each other in the fight” Cotto also has a reserved fate for December 2nd given he is successful on August 26th which will also be Cotto’s first fight in California, Los Angeles since he faced Arturo Rodriguez at the Staples Center back in 2001 for his 6th professional bout. As Miguel Cotto has always given his best and nothing less during all his fights it was unclear if he would step back into the ring and if so when as he come close to about a 2 year inactivity since his last fight which was against Saul Alvarez. Having stated early this year 2017 would be his final year as a fighter things quickly unraveled and now the extension of his great career will be guided by Golden Boy promotions most like into 2018 and possibly beyond. Miguel Cotto doesn’t shy away from critics or criticism and replies to those that might think he should retire instead of carrying on. August 26th at the StubHub Center in Carson, California on HBO for the WBO 154lbs Miguel Cotto steps back into the ring with the Japanese brawler Yoshihiro Kamegai who’s coming off a fight of the year candidate and plans to bring it to Miguel Cotto in what is the biggest opportunity of his career. Don’t miss this it. Follow the conversation via #CottoKamegai for complete coverage. 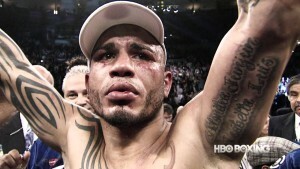 It’s been a while, but Miguel Cotto will finally be returning to the ring on August 26th. 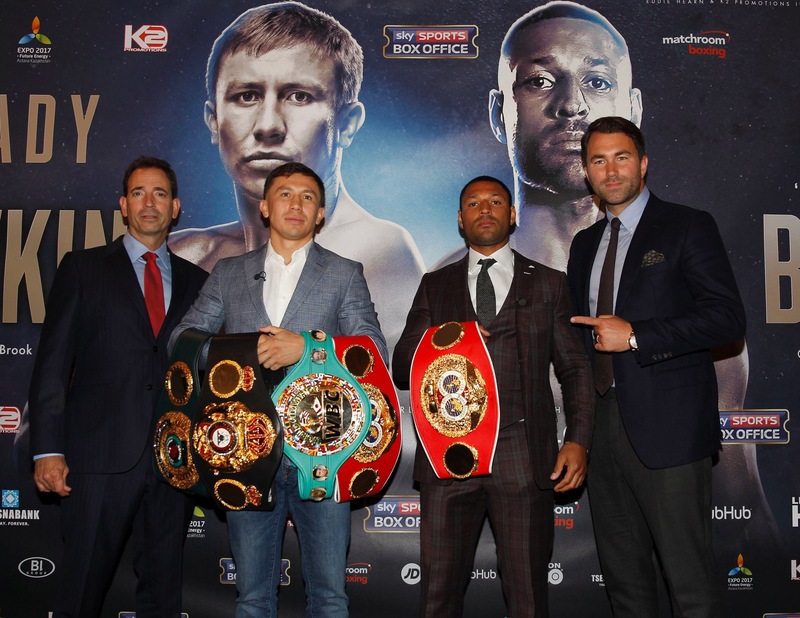 His opponent will be the exciting Yoshihiro Kamegai in a battle for the WBO world super welterweight title, which Cotto’s last opponent, Canelo Alvarez, vacated in order to easily defeat Julio Caesar Chavez Jr a few weeks back. The bout, which will be held at California’s StubHub Center, will be featured on regular HBO. The fact that the fight won’t be a pay per view event is a refreshing change for fans, since bouts which used to appear regularly on outlets like HBO now seem to cost those fans extra money. The last time Cotto was in the ring was way back in November of 2015, when he faced Canelo in a major fight that proved to be a rare pay per view success during the time following the Mayweather-Pacquiao bomb earlier that same year. It was a close bout, but Canelo walked away with a decision win. Since that night, names like Tim Bradley, James Kirkland and Juan Manuel Marquez have been attached, in varying degrees, to Cotto’s. The only major event in Cotto’s stalled career, however, has been his break with promotional entity Roc Nation Sports, which had been representing the Puerto Rican star. Now, though, the man is set to face Kamegai in a bout that some may be calling a dud, but that, in reality, could prove interesting. For, at thirty six years of age, Cotto will not only be coming off a long layoff, but will be running from Father Time, as well. His 40-5 record is impressive, but it’s hard to imagine the man’s best days being ahead of him. 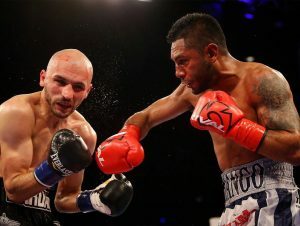 His last victory will have been over two years earlier, after all, and that will have been against Daniel Geale, a quality, but certainly not great, opponent. Still, there are those who see the 27-3-2 Kamegai as something of a tuneup for Cotto before he moves on to bigger and better things, possibly in the fall. The 34 year old Tokyo resident, however, has a shot at glory here. He also has some impressive wins on his resume that are worth considering. Although he may not be the favorite, there may be too many questions in play at the moment to just write the veteran warrior off as a glorified sparring partner for Cotto.